It was supposed to be a night out, that's all. Yet when Alexandra "Alex" Hensley, heads out to meet her best friends crush, Dante, begins a direction that will change her life forever. 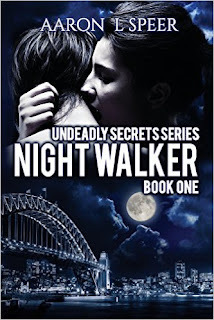 Alex discovers the city of Sydney is hiding a terrible secret. A revelation that challenges all she has ever known and all she has ever loved. Sinister forces, charged with keeping the truth hidden for over two hundred years, emerge to ensure the secret remains intact. The truth will not set you free. Vampires roam the streets of Sydney but no one knows and no mortal is supposed to know unless they are owned by a vampire or if they are a vampire. Any mortal finding out about vampires must either be turned or killed, thus says Vincent the King of Sydney vamps. Dante does not adhere to Vincent's disdain of humans or his rules. He lives on his own away from the pack. He runs a very successful nightclub and has an unusual interest in Alex one of the patrons that frequents his bar. The vampire lore in this book is a bit different than in many others. Their history is explored as are the ways in which they die, love, eat and turn. I really enjoyed this version of vampires. Its always nice to read something different instead of the same old myths. Speer created his own world with its own rules and I appreciate that. The story itself was interesting and while some of it was a bit predictable there are still many mysteries yet to be uncovered. I was a little underwhelmed by the ending wishing there was more of a conclusion but I guess thats why there are sequels. I just hope in the next installment we still get to learn more about Dante and Alex and how their relationship evolves. Alex left me a little puzzled at the end, is there something different about her or am I just reading too much into it? I don't know but I'm eager to find out. Nice start to a new otherworldly series. 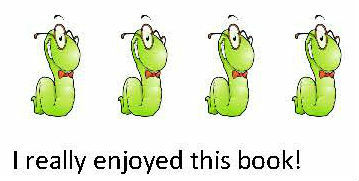 Disclaimer: Book was received from the author in exchange for an honest review.